This three year-project started in May 2018. It unites 11 partners from research, civil society organizations and industry coming from six different countries in Europe and North America. It is funded by the program Sustainable Global Urban Initiative (SUGI) Food-Water-Energy Nexus. The Belmont Forum and Joint Programming Initiative (JPI) Urban Europe set up this program based on funds of the EU and national funding agencies. 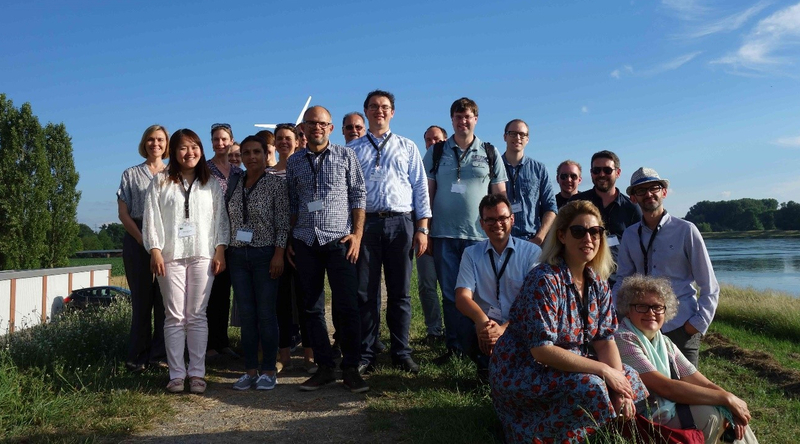 The kick-off meeting for the different SUGI projects took place in London one week before the Creating Interfaces kick-off in Karlsruhe. The project “Creating Interfaces“ addresses capacity building for the urban FWE nexus, making the FWE linkages understandable to the stakeholders (government, science, business, and citizens), and facilitating cooperation and knowledge exchange among them. It will develop and test innovative approaches for local knowledge co-creation and participation through Urban Living Labs in three mid-size cities on water: Tulcea, Romania, Wilmington, USA and Slupsk, Poland. Complemented by previous research and a citizen science toolbox, these Labs comprise a user-defined co-creative approach where research questions, problems, and solutions are decided and implemented with stakeholders themselves.